The moon is now in reach of private enterprise, and an Israeli startup plans to land a 1,000-pound spacecraft to win a $20 million prize from Google. “Our mission is to land on the moon and be the fourth nation after the United States, the Soviet Union and now China,” said Yonatan Winetraub, co-founder of SpaceIL, in a lecture in San Diego on Friday. 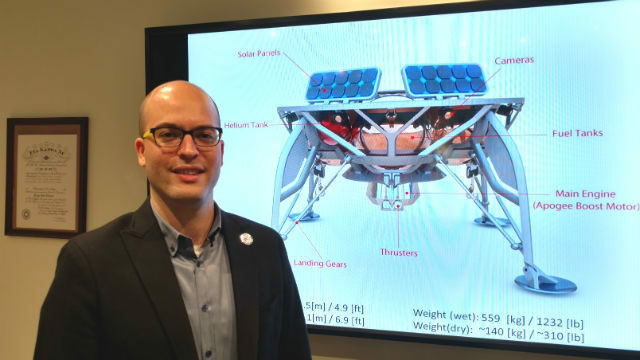 The Israeli nonprofit organization is one of three finalists for the Google Lunar XPRIZE, which will pay $20 million for the first successful private landing on the moon. But SpaceIL is considered the leader of the pack because it has already purchased a launch aboard a SpaceX Falcon 9 rocket next year along with other satellites. The XPRIZE competitors are Moon Express in the United States the international Synergy Moon. Winetraub outlined his team’s plans to a group of students at the University of San Diego in the first of a series of local lectures sponsored by the San Diego-Israel Initiative. SpaceIL’s lander is about 5 feet high by 7 feet in diameter and weighs 1,000 pounds. “Israel is a small country. We have a small budget. And we’re building a small spacecraft,” Winetraub explained. 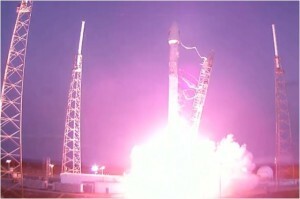 After landing, the craft will fire its engines briefly to move at least 500 meters, another requirement of the XPRIZE. A key insight by the company’s team was that a series of increasingly wider orbits around the earth could take the spacecraft to the moon over a period of two months without need for a larger rocket booster. Winetraub, who is also studying for a PhD in biophysics at Stanford University, said another goal of the mission is to inspire future engineers in Israel and the United States. After USD, Winetraub was scheduled to speak to students at UC San Diego and San Diego State University. His visit is the first under the San Diego-Israel Initiative’s mission to encourage knowledge sharing between San Diego and Israel. An upcoming program will focus on wine-growing technology in Israel.